Puneeth Rajkumar was born on 17th March 1975 in Madras to Kannada cinema legend Rajkumar and Parvathamma Rajkumar. He has four elder siblings, two brothers and two sisters. His elder brothers Shivarajkumar and Raghavendra Rajkumar are also very famous actors and producers in sandalwood. Since his father was an actor film business was very familiar to him from the very beginning. He faced the camera when he was just six months old for his father’s movie Premada Kanike in 1976. His debut as a child artist was with Vasantha Geetha in 1980 alongside his father. He discontinued his formal education at the very early age and studied under a private tutor. He earned Diploma in Computer Science. Before entering films in lead role he was involved in mining business. He was professionally trained in martial arts and dancing before making his debut with Appu in 2001 alongside Rakshita and Avinash which was huge commercial hit. He is popularly known as Power Star and Appu in sandalwood. 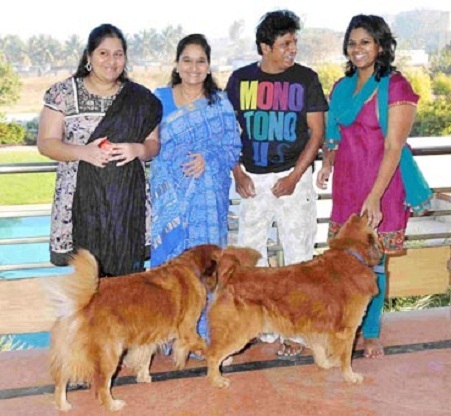 Despite of his busy filmy schedule Puneeth is involved in charity works, he is the patron of Shakti Dhama, Mysore. Apart from films he is also involved in TV shows, he hosted Kannadada Kotyadhipati show in 2013. He is also a good singer and sung for most of his films. He endorsed several reputed products like 7 Up, Dixcy Scott, Malabar Gold, Manappuram, F square, Nandini etc. 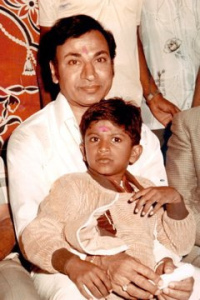 His father Dr. Rajkumar is one among the sandalwood legends. He was born on 24th April 1929 in Gajanur. His birth name is Singanalluru Puttaswamayya Muthuraju. 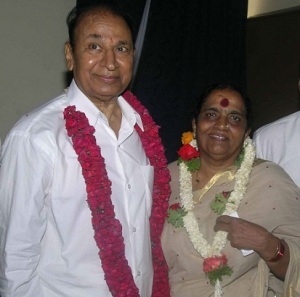 Rajkumar made his film debut with Bedara Kannappa in 1954 opposite Pandari Bai and Narasimha Raju. Rajkumar is married to Parvathamma and the couple gave birth to five children. He lead the Gokak movement and played a key role in implementing Gokak varadhi. He received National Film Award for Singer for his song “Naadamaya” in 1992. He received Padma Bhushan and Dadasaheb Phalke Award for his contribution to the films. 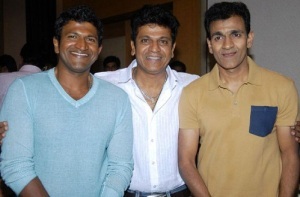 He has two elders brothers, Shivrajkumar and Raghavendra Rajkumar both of them are actors. Shiva Rajkumar was born on 12th July 1962 Gajanur and made his film debut with Anand in 1986 opposite Sudha Rani. Raghavendra Rajkumar was born on 15th August 1965 in Chennai and made acting debut with Chiranjeevi Sudhakara in 1988 but the film was a failure, his first blockbuster hit was Nanjundi Kalyana in 1989 opposite Malashri. He has two elder sisters named Lakshmi and Poornima. His brother Shivrajkumar was married to Geetha since 1986 and the couple gave birth to two daughters, Niveditha Rajkumar and Nirupama Rajkumar. Raghavendra Rajkumar is married to Mangala Raghavendra and the couple have two children Vinay Rajkumar and Guru Rajkumar. 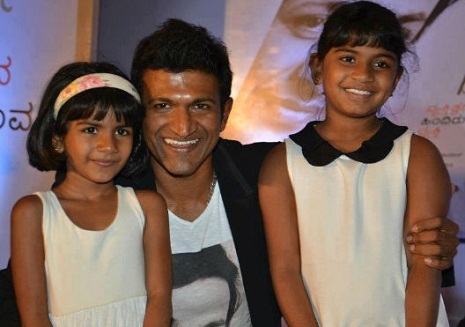 He has two nieces named Niveditha Rajkumar and Nirupama Rajkumar, daughters of Shivrajkumar. He has two nephews named Vinay Rajkumar and Guru Rajkumar, sons of Raghavendra Rajkumar. 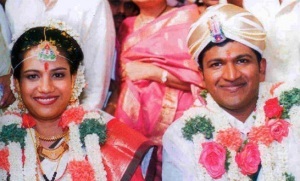 He is married to Ashwini Revanath since 1999 and the couple gave birth to daughters named Drithi and Vanditha.